In 1995, Whanganui Māori occupied Moutoa Gardens (Pākaitore) for 79 days as a protest over land loss. Tents were set up and John Ballance’s statue’s head disappeared, to be replaced by a pumpkin. 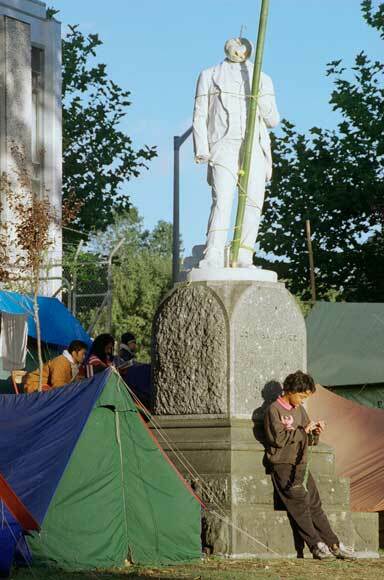 In 2008 the tents, the protesters and the pumpkin were long gone, and so was the rest of the statue – except its base.